This was an issue that previously was pushed under the carpet. But we won policy change for better, by evoking the solidarity, understanding and compassion of thousands of citizen who previously had been unaware. We have reached a huge milestone in our effort to have caring for a sick relative at home recognized as a job that warrants the minimum salary. 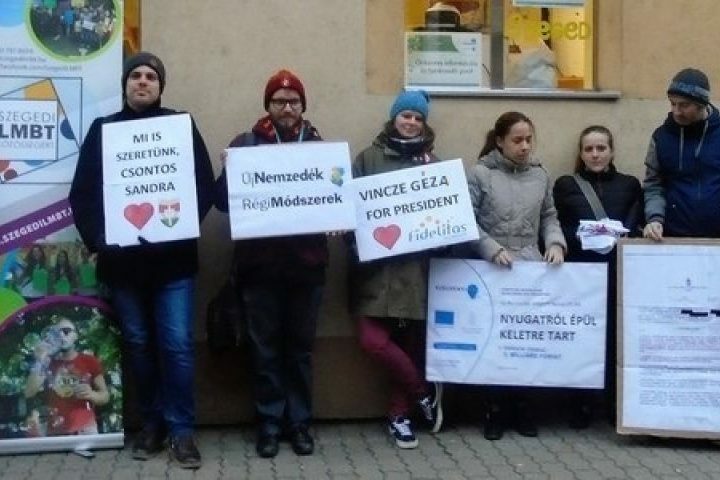 Recently, civil society organizations achieved success that is unprecedented in Hungary: as a result of a widespread social movement born in the wake of a joint campaign by the ‘Lépjünk, hogy Léphessenek!’ (Let’s make a move so they can move on) Public Association, the ‘Csak Együtt van Esély’ (We only have a chance together) Group, the aHang (theVoice) platform and Civil College Foundation, the nursing benefit will be raised in every category, with some families receiving 70,000 forints more than they do now (a 200% increase). In the past years, no other social campaign has achieved a result of such magnitude, improving the lives of tens of thousands of people. 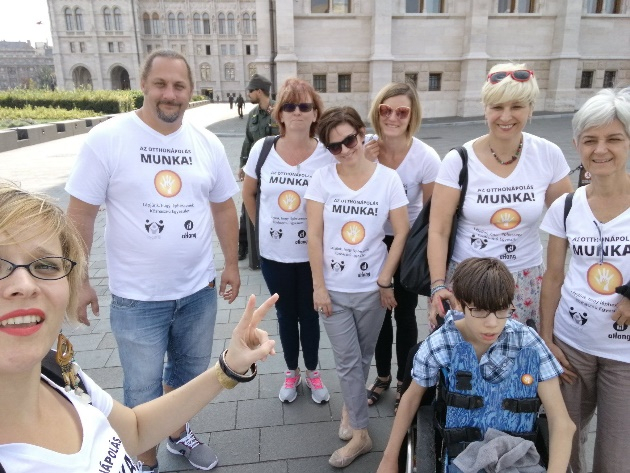 According to a statement sent to the Hungarian public news agency (MTI) on October 11, the previous day the government decided to raise the amount of the nursing benefit paid after children who have to be nursed at home to 100.000 HUF in all categories. 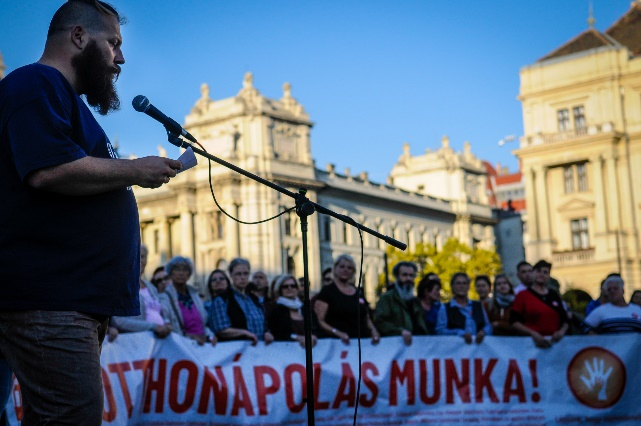 Katalin Novák, the state secretary making the announcement, said that they would continue raising the amount in the upcoming years as well, with the goal of having it reach, in three steps by 2022, the level of the minimum wage. The state secretary added that the nursing benefit would also be increased for those families where it is paid after a relative other than children. In such cases, the amount will be raised by 15% next year, and then it will be raised by an annual 5% in 2020, 2021 and 2022. In this way, by 2022 those who look after a relative other than the children, and are eligible to receive the benefit, will receive 30% more than they do now. The state secretary added that families raising more than one disabled child will receive one and a half times the amount. Today, it has been proven that if Hungarian people join their forces to address an issue, they can actually win and effect change. Since it started in May, the joint campaign of Lépjünk, hogy Léphessenek!, Csak Együtt Van Esély (CSEVE) Csoport, the Civil College Foundation and aHang has been followed with unprecedented attention and support. In a few days’ time, 50 organizations joined our call and tens of thousands of people signed the petition for having the work of people caring for a sick relative recognized. 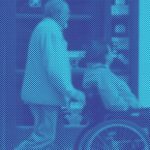 Supported by the media, in the first phase of the campaign the organizations carried out a sort of sensitizing campaign: they used stories to show what it is like to care for a disabled relative in today’s Hungary. For several articles and TV reports, families gave their face and name to present their lives, allowing dry data turn into shocking facts. This was the first time most people learned about the struggle of caring for a sick relative 24/7, having to live off a benefit that amounts to a maximum of 150 Euros. Between the times the stories were presented, we regularly published research results, data comparisons with foreign countries, and our own analyses. For each media source, we recommended a new family, a new story, a new point of view. The journalists working on the touching stories became committed to the issue, and later helped our work by publishing our further and further press releases on their online surfaces. This is how it happened that after a couple of weeks we were all over the news, and the issue just could not have escaped anybody’s notice. The almost daily appearing articles were shared on our social media pages, and the other pieces of content we published on the issue were also extremely popular. When there were no press appearances, we produced our own content (e.g. memes), often publishing them as ads. As a result, activity on our Facebook page increased rapidly. Our signatories received weekly mailings of a personal tone from us, with extremely high opening and reaction rates. Many of them answered the emails, and we started personal conversations with them, thus increasing the number of our volunteers who later assisted our work in many ways. Observing how paying attention and being personal in tone can increase the number of people committed to solving an issue was an important experience. Through analyzing data, we identified and contacted people who count as influencers in their own environment. Then, these people were even more active sharing news about our campaign on their own online surfaces. In the wake of all this, it came to light that - regarding this issue at least - Hungarian people were not uncompassionate, but uninformed. 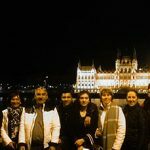 The vast majority of people did not know that in Hungary today, people who care for their relatives at home 24/7 receive a maximum of 52,800 Hungarian forints (around 160 Euros) in benefit and their sacrifice does not count as work. In our video featuring five famous men who care for a severely disabled child for a day, Hungarian Olympic fencer Géza admits: he thought home care had counted as employment for a long time already. The actions, videos and demonstrations of the campaigning organizations were received with the utmost attention and sympathy, giving the extremely exhausted and desperate stakeholders strength to carry on. 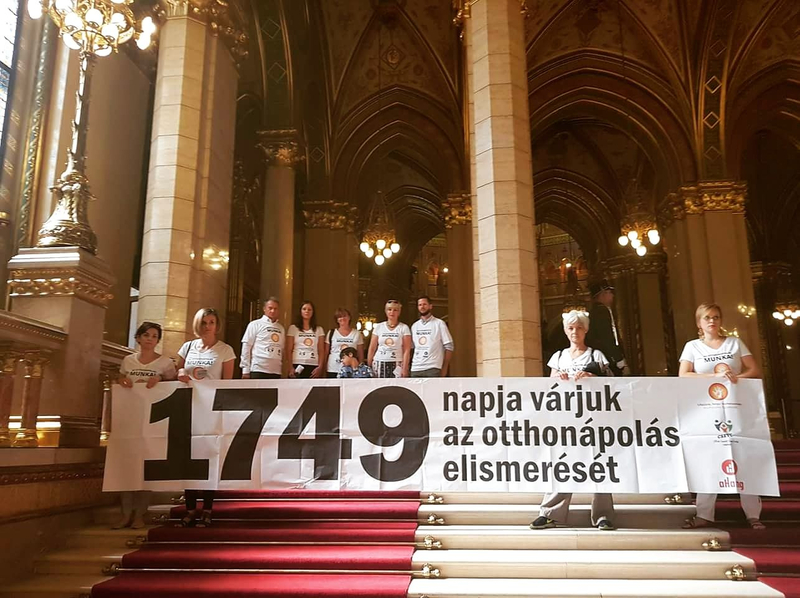 The volunteers involved (who were in most cases directly affected by the issue themselves) collected 5625 signatures in 210 local communities around Hungary, from their fellow stakeholders who do not have Internet access due to their situation. 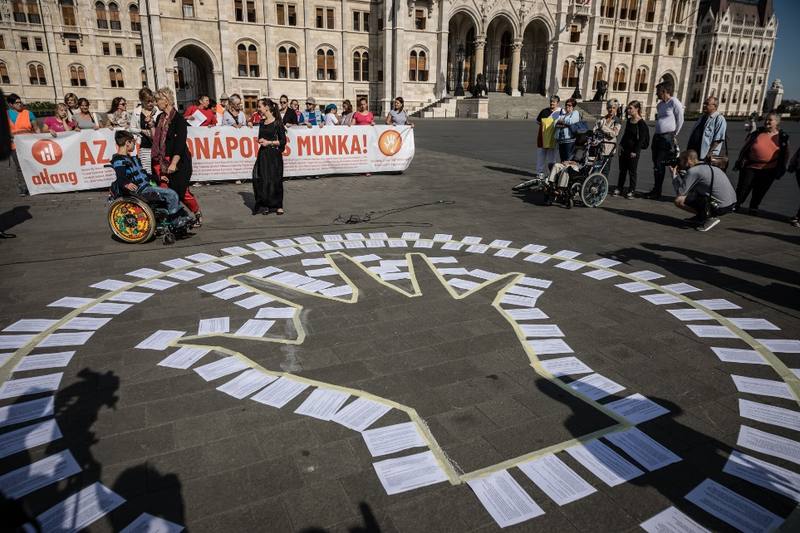 The actions referred to above are as follows: in June, when the parliamentary debate about next year’s budget started, with those affected by the issue we went to demonstrate in front of the parliament building, where we formed an enormous hand out of the touching testimonies we had received from people. Opposition media sources, which turned up at the demonstration in great numbers, then cited a great deal from the sheets with the testimonies in their articles and news pieces. We launched several mass mailing actions which were joined by thousands of our members. After each decision-maker received thousands of emails, the representatives of the ministry invited the representatives of the campaigning CSOs to attend a “consultation”. The event proved to be window dressing, reported on by a furious opposition media. 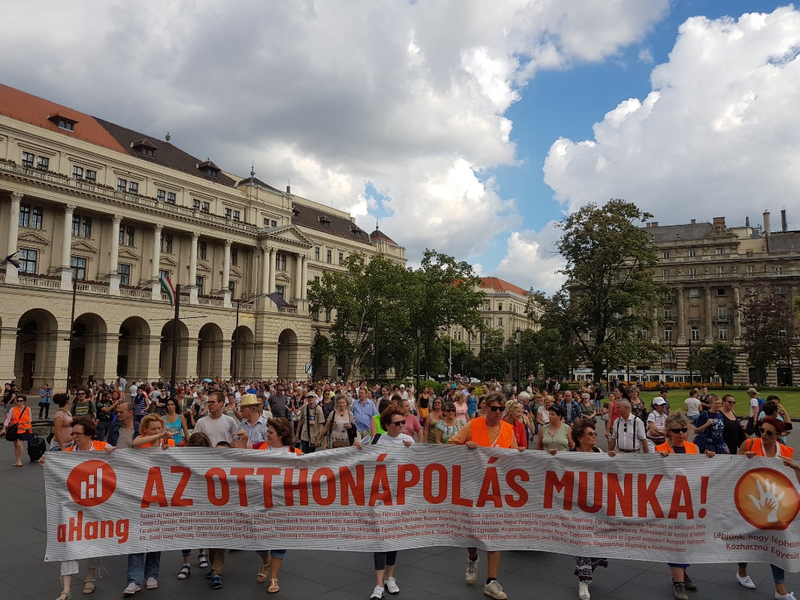 Our next event - whereby on the day of the parliament approving next year’s budget we marched from the Ministry of Human Capacities to the Parliament - was attended by hundreds of people already. A storytelling session spontaneously evolved at the event, bringing touching moments for those present. 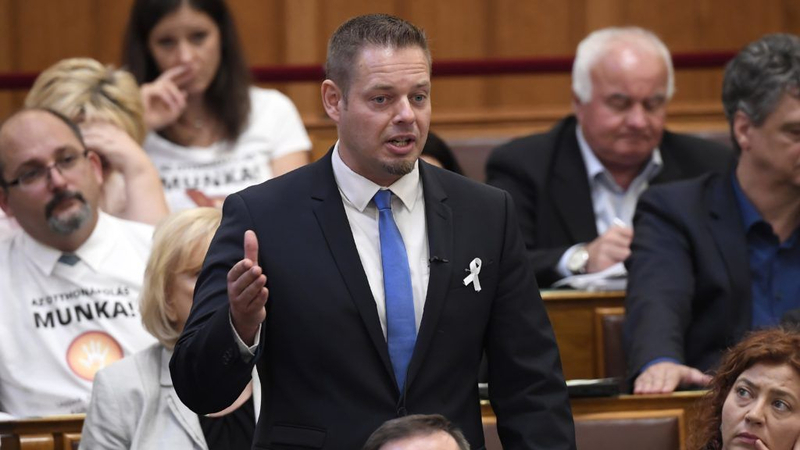 Our September action in Parliament garnered great attention as well: with the help of opposition politicians, some of our activists managed to get into the Parliament on the first day of the house’s autumn session. We distributed T-shirts with the slogan “Caring for a sick relative is a job!”, with MPs from almost each opposition group putting them on and wearing them during the entire day. Other MPS expressed their support by wearing a white ribbon. Several MPs demanded that the situation of people caring for a disabled relative be dealt with by the government. On the same day, all MPs received yet another letter from us, and we put out a huge banner within the building which showed how many days we had been waiting for the issue to be resolved. A couple of weeks ago the campaign took a new direction. At that point, we wanted to demonstrate the level of the strong social support acquired, and to call attention to the fact that we are not “only” talking about the wish of 50,000 people who care for disabled relatives, but society as a whole demands change regarding this issue. 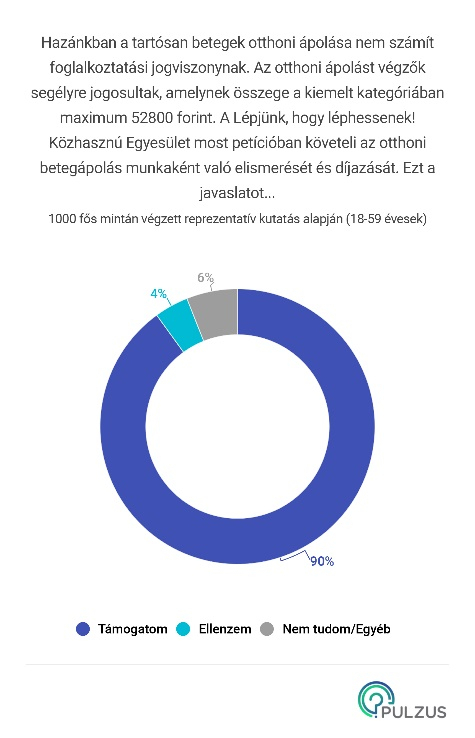 According to a representative poll by Pulzus Resarch, 94% of Hungarian people think that home care should be recognized as a job and remunerated accordingly. By now, the number of people signing the petition has now reached around 50,000. Then, the country got covered in stickers saying “Caring for a sick relative is a job!” This was preceded by the organizers asking people during the last demonstration to express their opinion about the issue with this small gesture. 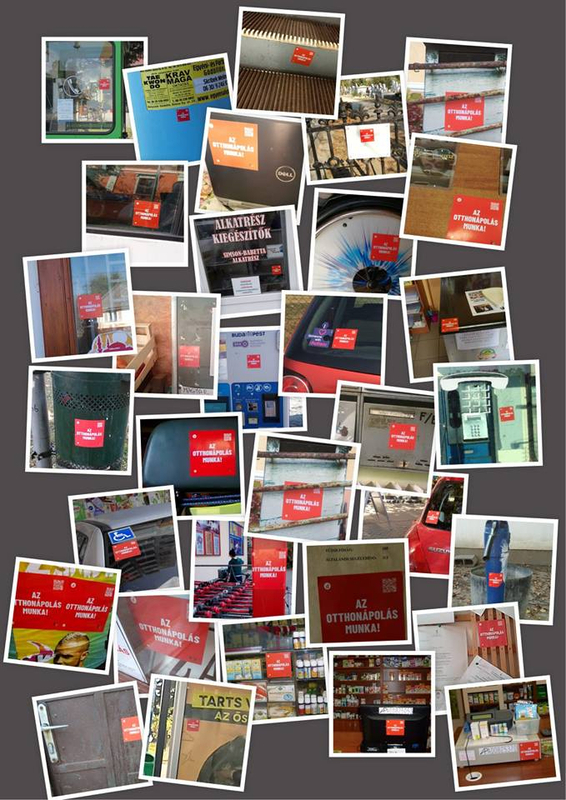 Since then, the sticker has been put on thousands of laptops, cars and shop windows. At the October demonstration just mentioned - which was also held in front of the Parliament - the new direction was already taking shape as a large number of supporters were present besides the stakeholders. In parallel to the above, the campaigning organizations obtained and published relevant data, proposed draft legislation and bombarded MPs, ministry workers and decision-makers with letters and appeals. At the end of the summer the government communicated that they had started negotiating with the stakeholders, by which they meant the large government-supported stakeholder organizations. The only thing that leaked out of those negotiations was that the government was not planning to substantially raise the nursing benefit. 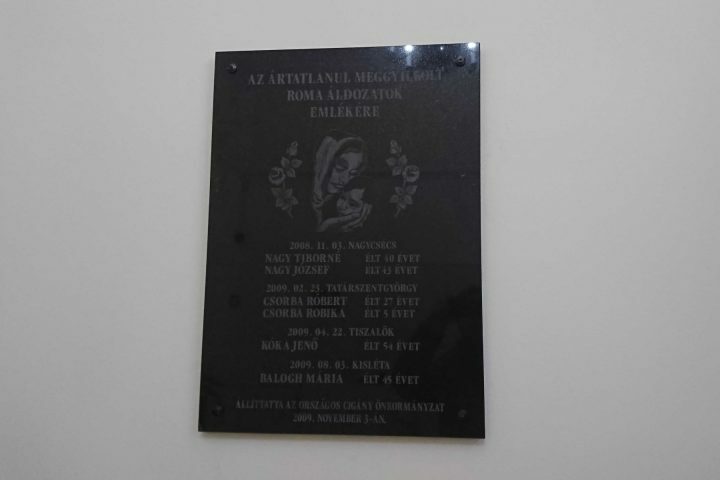 Through the mediation of the media, an awakened society was getting increasingly loud demanding that the organizations starting the campaign be involved in the negotiations and the instant 50,000 forints raise they had requested be given, followed by a recognition of caring for a disabled relative as employment. In October, the wide-spread public support for and awareness of the campaign prompted decision-makers to take an important step. We see the raise as a huge result, yet we are carrying on with the campaign as our final goal is to have the work of everybody who provides home care for a family member recognized.